Set of Wedding Hangers Scroll Saw Pattern. 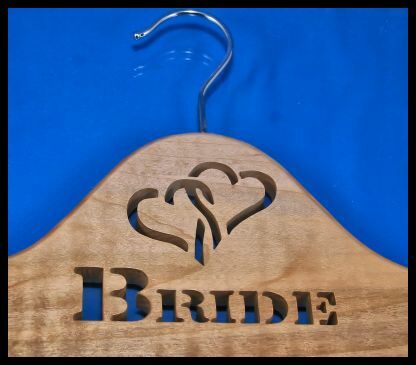 This pattern book has a complete set of wedding hangers. Five in total. I left room under the word "Bride" to add the brides name and the wedding date. 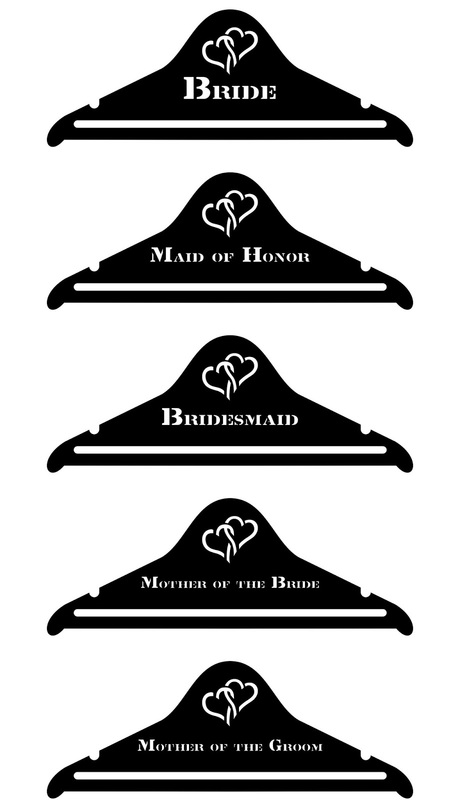 If you wish to customize the hanger you can use a program like Inkscape and a stencil font to make the name. 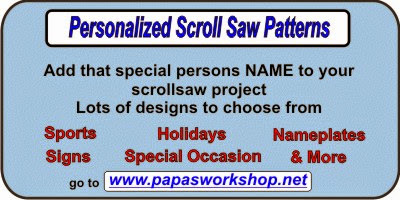 For the CNC folks in the crowd you could easily cut the entire project on your machine. Just customize with the graphics you need. 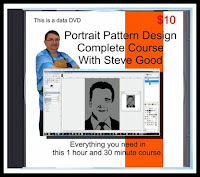 I make sure the patterns inside the PDF remain in vector format. 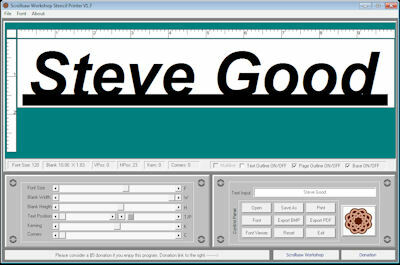 This allows you to import directly into any vector program like Inkscape for editing. V-bit carving would be especially nice here. 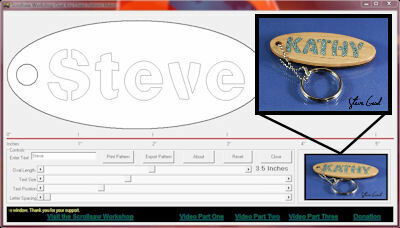 The laser engraver people could cut the hanger blank and use their laser to add the graphics. The hangers are the standard 17.5 inches wide and 6.5 inches tall. I left plenty if room in the center for added design. 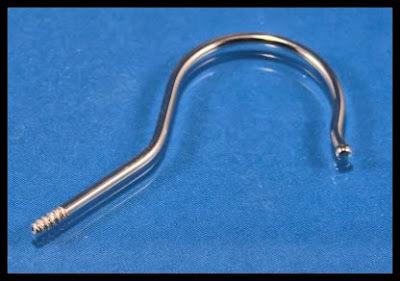 I simply unscrewed the hook from a wooden hanger I had in my closet. 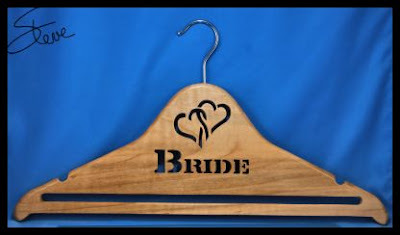 You can also find sets of wooden hangers on Amazon for around $8 for 5. 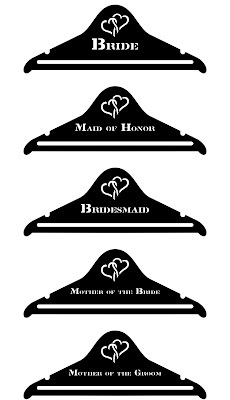 The set includes Bride, Maid of Honor, Bridesmaid, Mother of the Bride and Mother of the Groom. 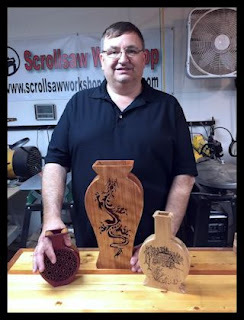 I just heard from Russ over at Simply Wooden Creations. He has decided to extend the deadline for entries to the 2017 Scroll Saw Artist Challenge. The new deadline is November 15th. Russ had several people mention that they would like to enter but did not get the information in time to complete the project. 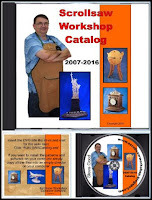 There are some nice prizes available. You might as well jump into the contest and win a nice prize. 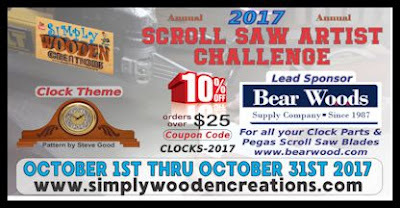 Head over to Simply Wooden Creations and check out the contest rules. 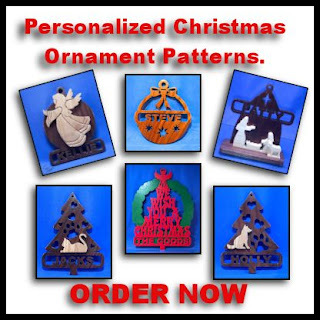 I am all caught up on Personalized Christmas ornament patterns. 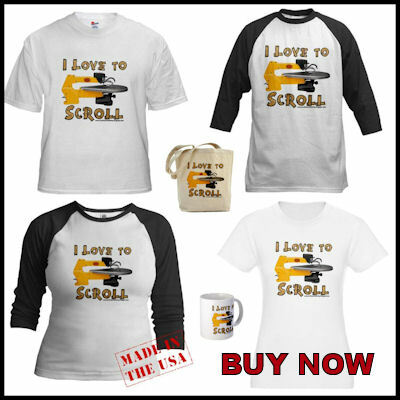 You should have your order in your email now. If you have not seen it please look in your spam folder. If it's not there email me. 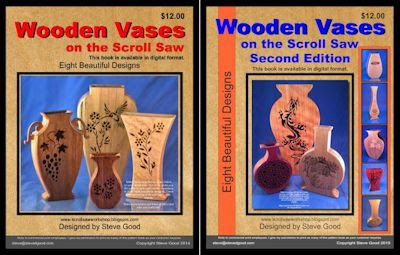 I just wanted to mention that my "Wooden Vases on the Scroll saw" pattern books are now available on DVD. 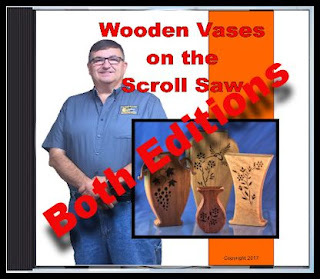 You get both pattern books for $19 plus shipping. The downloadable versions normally sell for $12 each. 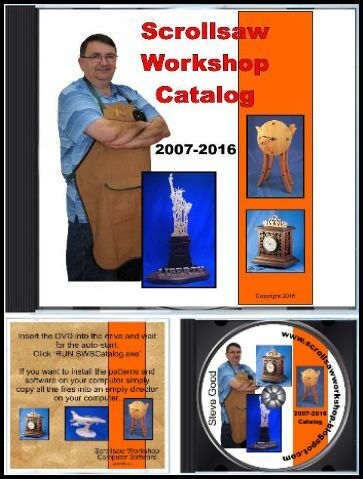 I lowered the price on the DVD to help cover the shipping cost. 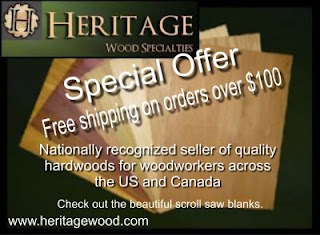 Don't forget the special offer from Heritage Wood Specialties. 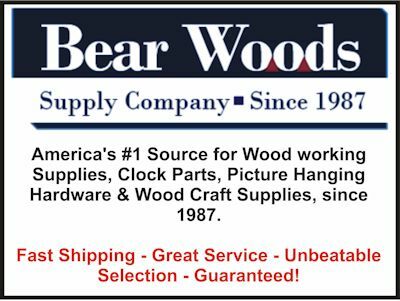 They are offering free shipping on orders over $100. 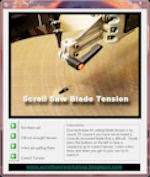 This is a great time to stock up on project boards for the coming winter months. These Amazon eGift cards are the perfect way to send a gift to someone. You choose the amount and the eGift card is delivered to their email address. You can choose to leave a message also. I am a big Amazon fan. 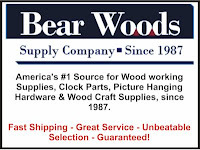 I buy from them on a weekly basis. 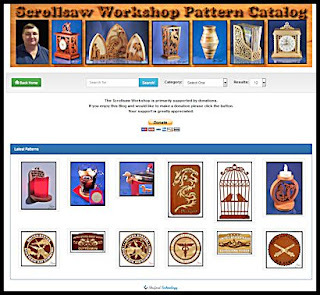 There is almost nothing I cannot find from their site. I have Prime account so I have access to free two day shipping, movies, music and much more.